Beautiful industrial desk lamp from Nordal. it is all about copper what makes the difference. It will dress your desktop and add an industrial touch. 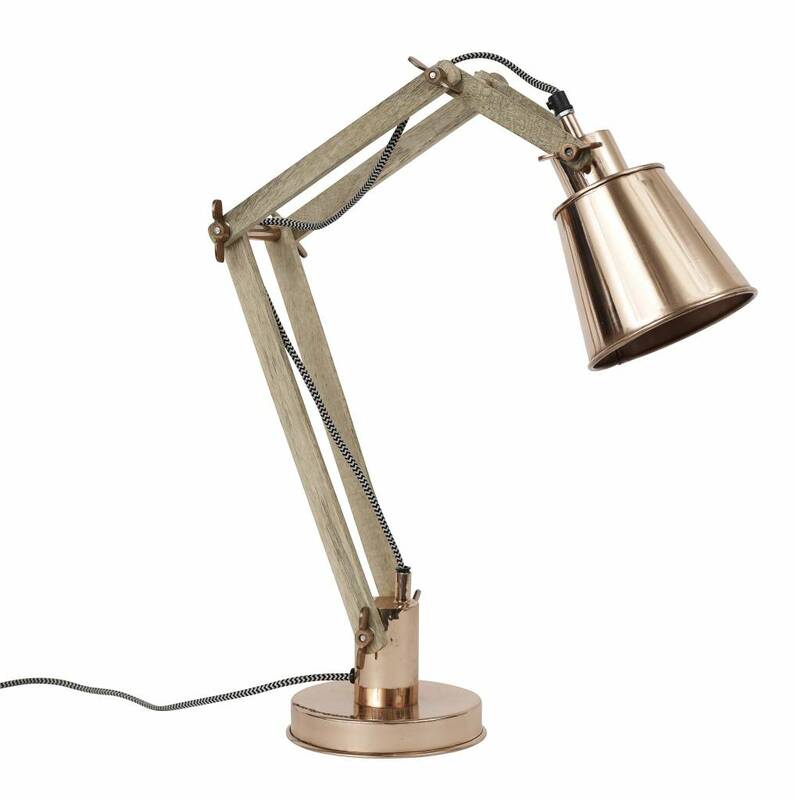 Gorgeous industrial desk lamp from Nordal. It is not like the others and it made a difference. With its raw design effect, this lamp will illuminate with elegance. Perfect for a coffee table on wheels or just an office. Be creative, and find its place.